This place closed for good in late 2011. As I sit to write this I am pausing to wonder if other states have Garbage Museums. I’m sure a few do. 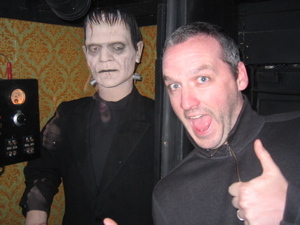 But then I must ask a follow-up question – Do other states with Garbage Museums also have Trash Museums? Didn’t think so. Their loss… For we, the third smallest state in the union, have both. 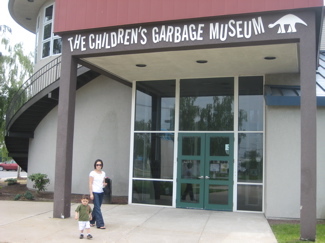 A Trash Museum in Hartford (CTMQ Visit here, almost 100 museums ago) and a Garbage Museum in Stratford. Now now… their locations do not reflect upon the cities. Both are run by the Connecticut Resources Recovery Authority (CRRA) and both are pretty similar. 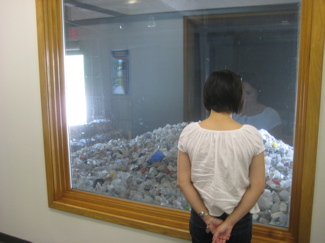 [The towns that support the museum] long term contracts to sell recyclables expire June 30, 2009. In late 2008, the global recession caused commodity prices to crater. Further, six towns are leaving the [cluster of towns that donate recyclables] effective at the same time, so the reduced tonnages for sale at the lower prices on the new sales contracts will not generate enough money to sustain the museum. I had followed the countdown clock for the museum and decided we better get down there if it was going to disappear. We beat the “end” by a few days. However, the end never came and through donations and the institution of a very modest admission fee, the Garbage Museum is still open today (July 2010) albeit with reduced hours. If you’re like me, you have a decent appreciation for the subtle difference between “trash” and “garbage.” Garbage more correctly refers to food and kitchen waste, whereas trash is, you know, trash. And stuff. However, if you’re looking for those differences to be exploited at the two museums, you’ll be disappointed. Trash-o-saurus, a 24-foot-long dinosaur made from a ton of trash — which is how much trash an average person throws away in a year. Wouldn’t it be cool if we all built Trash-o-sauri in our yards instead of throwing away junk? I think so. 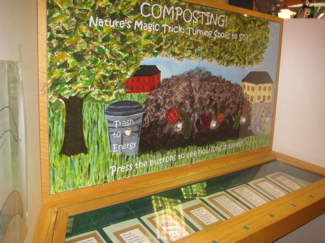 The Garbage Museum in Stratford and the Trash Museum in Hartford have provided award-winning environmental education, recycling and sustainability programs to over 500,000 people from Connecticut and worldwide since 1993. Both museums are attached to regional recycling centers where visitors get an up-close look at the sorting and processing of recyclables. Student programs align with state science and social studies standards. 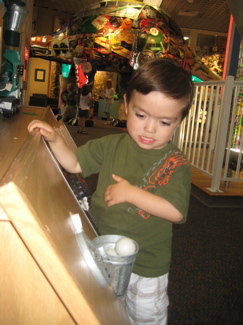 Museum exhibits focus on proper waste management practices with hands-on activities and displays. The Connecticut Resources Recovery Authority is a quasi-public agency whose mission is to work for – and in – the best interests of the municipalities of the state of Connecticut. CRRA’s new board of directors and new management team develop and implement environmentally sound solutions and best practices for solid waste disposal and recycling management on behalf of municipalities. CRRA serves more than 100 Connecticut cities and towns. CRRA also runs sustainability education programs through their museums. 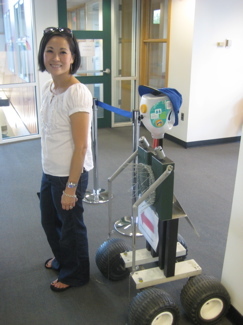 In order to close the recycling loop, CRRA operates gift shops at both museums featuring items made with recycled or reused content. Let’s back up a little bit. All the way back outside where there are a few really cool sculptures. Made from something called glasphalt, A combination of – you guessed it – glass and asphalt, this material is strong and moldable and obviously is a use for recycled glass. I sort of dig these things. And the dinosaur outside sort of forms a nice trashy transition to the one inside. 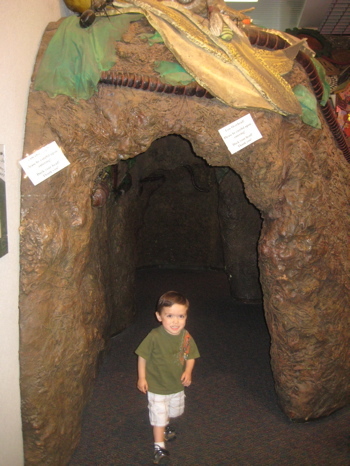 Once inside, it’s fun for kids to grab a garbage scavenger hunt sheet which they can use over their visit to find all the various pieces of garbage throughout the large museum room. Trash-o-saurus steals the show a bit, but everything around him is pretty cool too. 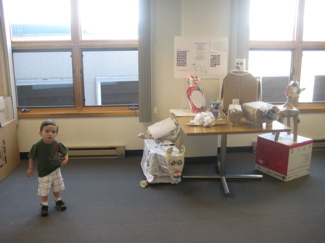 There are games and other learning activities about recycling and reusing. The museum isn’t too heavy-handed at all, so even those whose political proclivities disallow them to believe things like recycling or creating less waste are positive things can even have fun here. Or at least their kids can. Damian had a ball and even after a good 45 minutes, he didn’t want to leave. I can’t think of too many museums that 3 year olds leave (literally) kicking and screaming. 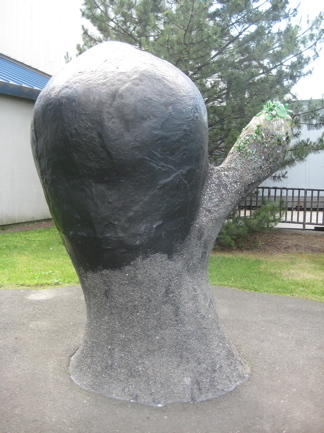 The museum hosts art exhibits throughout the year as well. 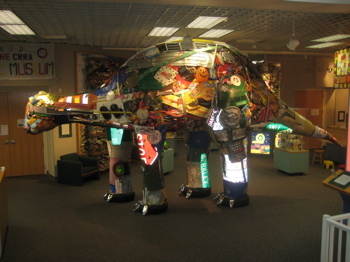 Currently, during the summer of 2010, The Garbage Museum is showing, “RETURN: A Recycled Art show with a Unique Perspective” The works in “RETURN” offer three artists’ interpretations of the “three R’s – Reduce, Reuse, Recycle” – that the Garbage Museum has taught since its opening in 1995. The show features the work of artists Will Machin, Oscar Santillan, and Howie Sneider. Now some may say that a few museums around the state are “garbage.” Well, close your naysaying mouth and get to one of the two museums who are proud to be garbage. 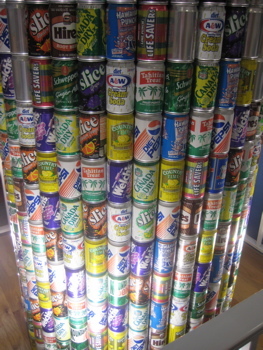 Too bad that nasty can of sugarcane soda didn’t make it into the random tower of aluminum cans. 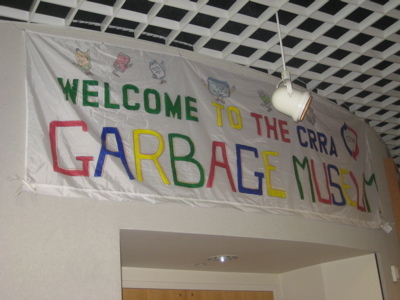 Unfortunately the CRRA Garbage Museum in Stratford, CT closed in August 2011. But fortunately the CRRA Trash Museum in Hartford, CT is open. 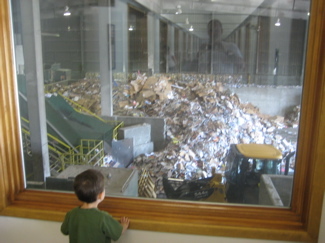 It is a great place to learn about all aspects of waste management, to see a state-of-the-art single-stream recycling center live and upclose, and it offers fun activities for visitors of all ages. The cost is $4 per person and children younger than 2 are no cost. Public hours are Wednesdays through Fridays from 12 noon to 4:00 P.M. Check about special hours during school vacations. Additional times are available for pre-registered group tours. 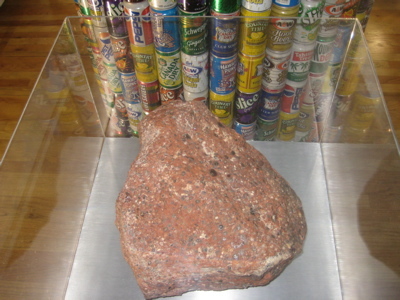 Learn more at http://www.crra.org; on Facebook, search “Trash Museum” and follow us on Twitter @trashmuseum. For those who want to see this wonderful, relevant and meaningful museum reopened, but under private ownership…..please contact me and let’s see what caring people can do when they join forces! My e-mail is Septemberapril@gmail.com. ACTION and public support can make this happen, but TIME and spreading the words is of the essence.